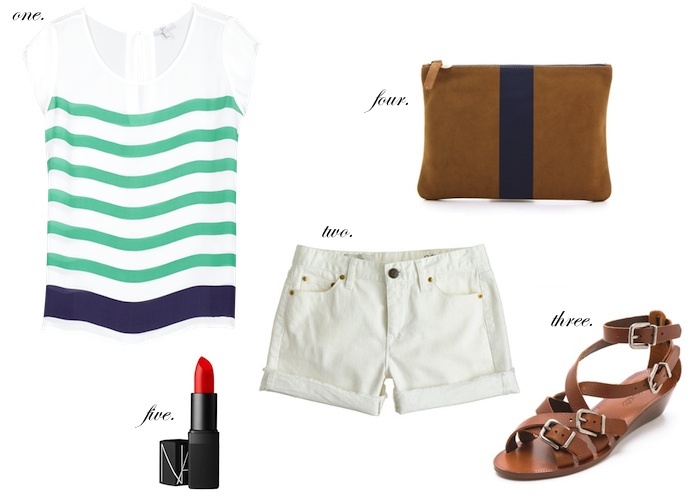 I love stripes, especially in the warmer months. I have been drooling over this Joie top for far too long now but have yet to pull the trigger and just get it. Part of me is hoping that it will go on sale soon with all of the summer clothing and I can scoop it up then. I guess we'll have to wait and see.